Do you need an electrician to install a garbage disposal? In today’s world of YouTube and DIYers, it is amazing that people in the maintenance and repair industry even exists. You can look up practically anything online, and even experts make how-to videos that negate (falsely) the need for expertise. Everyone wants to fix things themselves and save money. While this is admirable, sometimes it is not smart. For instance, it is a good choice to hire a professional when installing a garbage disposal. Not only may you need an electrician, but you may also need a plumber. It seems like a pretty easy project. Hook it up and plug it in, right? Well, it’s not really that simple, and there is often more to garbage disposals than the homeowner may imagine. Not only do trained professionals have the knowledge to handle unusual plumbing and electrical issues, but they can make sure that you get what you are looking for when it comes to this kitchen appliance. Determining how big your garbage disposal needs to be can be complicated. Many people believe the bigger a unit is, the better, but this is not always true. One of the first things to consider is how much room you have for a garbage disposal under the sink. Typically, a unit with higher horse power will be bigger and take up additional space. Next, you must determine how much use your garbage disposal is going to get. The best way to determine this is by considering how many people will use it. 1/3 HP: This is the most inexpensive and weakest garbage disposal generally available in the market. It is okay for small spaces and small living spaces such as studio apartments. ½ HP: This isn’t much better than a 1/3 HP disposal unit, but it can handle a little more use in similar spaces. ¾ HP: For the price, this is the best option for the average home and can handle the organic refuse of a typical home. 1 HP: A home generally doesn’t need this big of a unit, and 1 HP units are suitable for small businesses. Most people have seen a scary movie where the victim’s hand is forced into a garbage disposal, and unfortunately, that is a possibility in continuous feed garbage disposals. In reality, that may not be much of a concern in a family of adults and older children. However, in homes with small children it could be a lifesaving consideration. Batch feed garbage disposals are safer, but they are inconvenient and don’t get rid of waste as quickly. It is nice to be able to continue putting veggies down the disposal until they are gone, but when children are involved, priorities change. If you have a busy household, sometimes all you need is a little peace and quiet. Typically, soundproofing efforts surround the motor of the unit, and they will take up more space as a result. If you have a septic tank, then you may mistakenly believe that you cannot have a garbage disposal, and this is not true. However, homeowners with garbage disposals and septic systems may have to pump their septic more often. Depending on the instructions for installation of the garbage disposal, you may need a dedicated circuit for your unit. Sometimes it is okay to combine it with the dishwasher circuitry. An electrician will be able to determine how the unit needs to be installed. Most garbage disposals are plug-in, as it is safer to have a vibrating unit come unplugged then disconnected from stationary wiring. 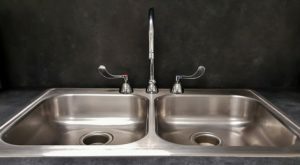 However, some sinks do not have a plug-in installed underneath, and it may take an electrician and even permits to get one installed on its own dedicated circuit. There are a wide range of prices for garbage disposals and installation. As stated previously, you made need an electrician AND a plumber, to get it installed properly. Hourly rates will have to be added to the expense of the unit, which can cost tens to hundreds of dollars. While you don’t want to break your bank account on a garbage disposal, it is important to spend enough money to get a unit that meets your needs. If these considerations don’t inspire you to hire the right professionals to meet your needs, then go ahead and try it, but don’t forget that improperly installed garbage disposals can result in smelly, wet messes in the home that will require a professional to fix. Save money in the long run by doing it correctly in the first place. Once you have a garbage disposal properly installed, it becomes a long-term fixture in the home. 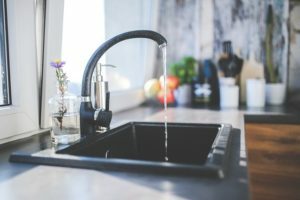 You’d be hard-pressed to find a homeowner complain about the fact that they have a garbage disposal, and many don’t know what to do if they move into a home that does not have one. Garbage disposals reduce household refuse by grinding it up and sending it into the sewage system. They are convenient and become an overlooked item of convenience in the home. However, they can become nightmares if they are installed improperly.